Head to Longview and get tattooed on the spot by over 150 of the worlds top tattoo artists like Amy Nicoletto from LA Ink! These artists will be tattooing starting Friday and will continue all the way through Sunday. Now is your chance to get amazing work at great prices. While you’re getting tattooed check out the amazing entertainment all weekend like face melting performances from the best local and national bands, jaw dropping suspension shows, insane pole dancing competition and the countries hottest industry vendors! If you would like to pre-book your tattoo appointments please visit our attending artist page and contact the artists directly. Many of them like Amy Nicoletto from LA Ink and others do not book appointments ahead of time. For those artists it is recommended to pick up a weekend pass, show up early Friday to check out all the artists’ portfolios and speak with them about what you are looking for. This allows you more time to see all the artists and get your appointment booked early before the madness begins. Music at an Ink Life show is second to none! National bands like Days Of The New, Scum Of The Earth, Mushroomhead, Authority Zero, Cherry Poppin Daddies, Grind, Hawthorn Heights, Barb Wire Dolls and more have played on the huge Ink Life Tour stage! Not to mention the best local bands each town has to offer. 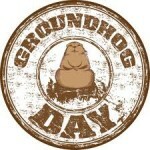 Performances also include Candlebox, Days Of The New and the George Lewis Project! warned this show by Aztlan is not for the squeamish. * Tickets are $20.00 for the day and $35.00 for a weekend pass, these prices include all concerts! BUY TICKETS NOW! Best Local Shop (spectators choice voting is all weekend and awarded on Sunday. 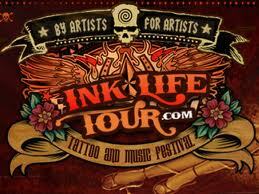 For more information call TOLL FREE : (866) 935~1822 or EMAIL : INFO@INKLIFETOUR.COM. In just a few days, Punxsutawney Phil—arguably the world’s most famous groundhog—will emerge from his burrow to make his annual prediction as to whether winter weather is here to stay, or if spring is in the air.